There’s Always Room For… | Keep It Up, David! 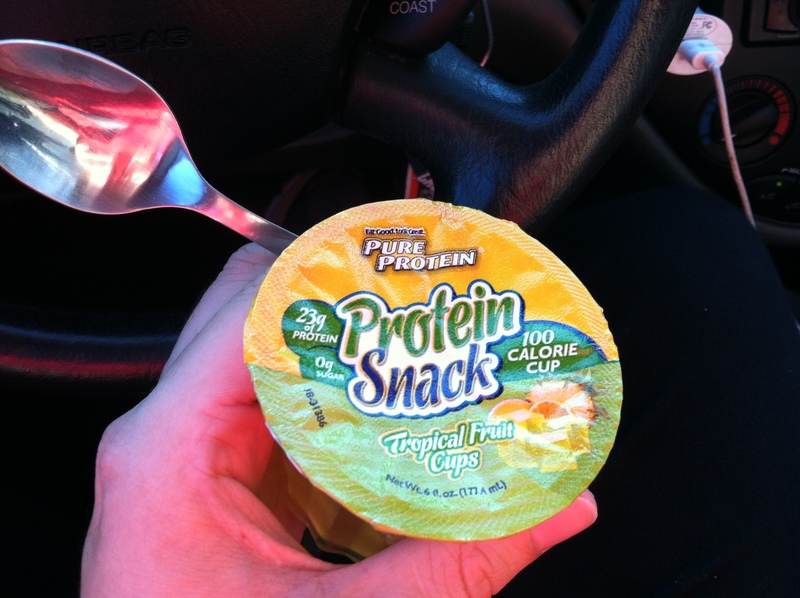 They’re fat-free, 100 calorie gelatin cups, fortified with 23 grams of protein. Tropical fruit flavored. The package of three cost $6. I’m in! I ended up trying my first cup while sitting in a parking lot, before working out. It looks and tastes like Jell-O! 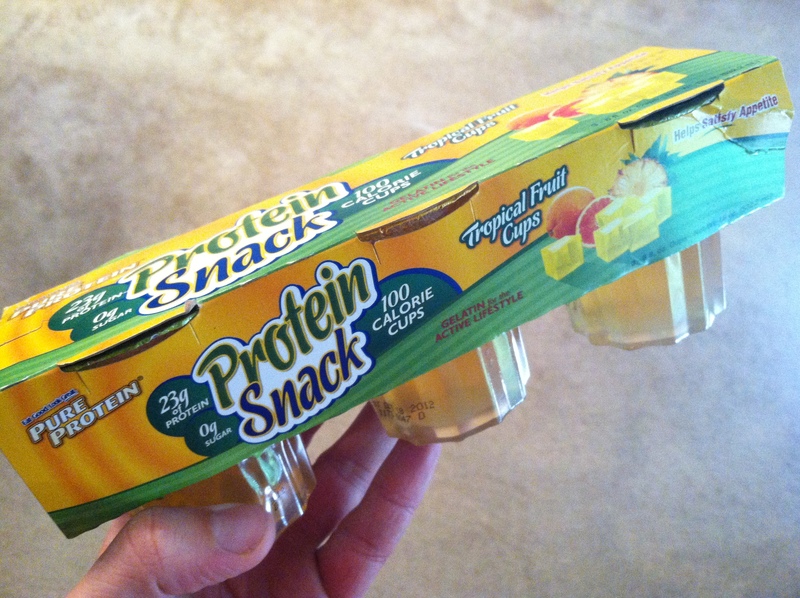 The GNC I was at only had the tropical fruit variety, but I wonder if it comes in more flavors. 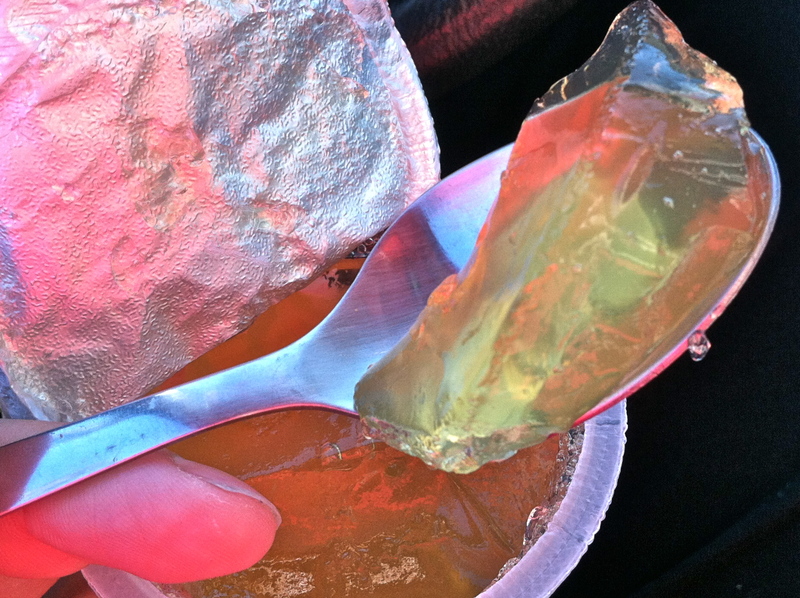 Orange Jell-O was always my favorite. I love getting my protein from unexpected sources! Wonder what I’ll find next?!? Now I know what it feels like to swim 1.2 miles without stopping. And it feels like an eternity. I can only imagine what it feels like in the cold, dark ocean. I’ll know for sure soon enough. After catching my breath after that 2,200 yards, I swam another 800 yards, switching between IMs, using a kickboard, and using a pull buoy. My 3,000 yard (in total) workout took just under an hour. PS – I got a very thought-provoking comment on a recent post. Check it out here, and stay tuned… I’ll probably address that comment in my next post. This entry was posted on Tuesday, July 24th, 2012 at 12:00 am and is filed under Uncategorized. You can follow any responses to this entry through the RSS 2.0 feed. You can leave a response, or trackback from your own site. My brother puts his ipod in an OtterBox and uses underwater headphones to swim…I was skeptical at first, but it’s pretty amazing technology! I remember once seeing somewhere online similar technology. I should look into it, maybe add it to my list for Santa this year! Those cups come in cherry too!